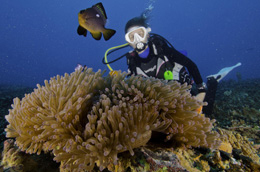 Info: A beautiful, healthy reef with schooling fish, clear water & great coral formations. Reef sharks and turtles are common. A very easy dive for all levels.